The Demons were nothing short of dominant in the late 50's, claiming an astonishing five Premierships in six years between 1955-60. There were a few legendary names associated with this unheralded run of success - Coach Norm Smith, and captain Ron Barassi. This glorious run capped off what was the age of greatness for the Demons, winning nine flags from 1939 through to 1960. One of the more memorable triumphs came at the hands of the Bombers in 1948, as the heavy underdog Demons ran out victorious in the first ever Grand Final replay. Melbourne own a long list of memorable Grand Final moments - Official Memorabilia are giving you the chance to relive them all. 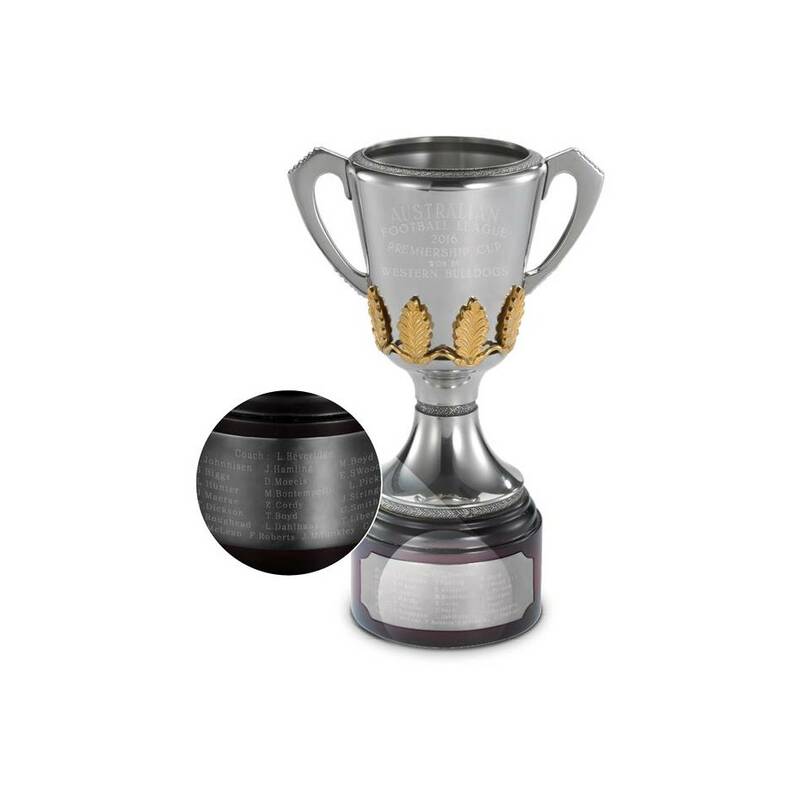 Commemorate Melbourne's Premiership triumphs with a collectable pewter replica of unrivalled heritage and splendour. Each handcrafted Cup is composed predominantly of refined tin, with small proportions of antimony and copper added for strength and durability.